Build a better world by participating in iGEM 2018! The iGEM 2018 competition season is officially open. Register your team and solve real world problems using synthetic biology. Get $500 off the regular registration rate when you register and pay by Friday, February 16, 2018. For complete registration details and to save, visit the registration page. 2018.igem.org will be your resource for all competition related details and announcements. Make sure to look over the content on the iGEM Hubs as there is a wealth of information there designed to help you do well in the competition. To help you succeed, visit our new competition page and learn more about this year's competition and rules. iGEM Partners: iGEM is proud to partner with leaders in industry to provide you with resources to accelerate your work and help you achieve your goals. Make sure to visit the Partner Page​ for the latest Team Grant Opportunities and Special Offers. Promega and iGEM: This year we are delighted to welcome Promega as an iGEM Partner sponsor. This relationship is founded on similar values. Our philosophies align to support the next generation of leaders that will come from iGEM. iGEM - Promega Team Grant opportunity: Promega is proud to announce its plan to support global iGEM teams in 2018 in two important ways. 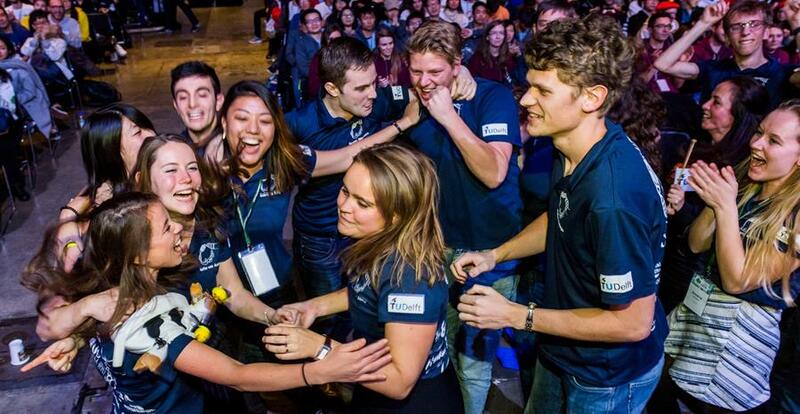 They plan to sponsor 10 iGEM teams around the world by providing each team with up to $2,000 in free Promega products. They also will offer unparalleled technical support to all competitors who will be welcome to reach out to them as they build their genetically-engineered machines and seed their scientific careers. MathWorks and iGEM: MathWorks is proud to celebrate its 10th year of sponsoring iGEM. From 90 teams in 2008 to over 300 in 2017, MathWorks has shown its unwavering support to iGEM teams, through their continued generosity of offering complimentary software and technical mentoring of our growing community. MathWorks has also put together this webinar to get you started and a collection of work from other teams that have successfully used MATLAB and SimBiology in the past. Save the date! The iGEM 2018 Giant Jamboree will be held on October 25 - 28 in Boston, MA. We will be planning special activities for Monday, October 29th after Jamboree events end late on Sunday, October 28. We will be sending you these newsletters about once a month. They are designed to provide you with key updates, reminders and announcements for the iGEM 2018 competition season. Look for our next communication in February. If you participated in iGEM, you can be a part of After iGEM. Last year, iGEM introduced the After iGEM Program, an initiative that supports our 30,000+ member community and international network of academics and industry professionals beyond the competition. Learn more about engagement opportunities within iGEM, in synthetic biology, and in the global community. Join a network of 30,000 members, become an iGEM Ambassador, or serve as an official iGEM Delegate by joining After iGEM by visiting after.igem.org.